Greetings & Hello. Special correspondent Dr. Henry Farad-Ohm on the beam for my inaugural April column. Here are scoops that you won't read anywhere except in the Balanced Modulator. When people are whispering in the background, here is what they are mumbling about. Mike Primus, W2OY of Lancaster, NY developed the concept for this award in the 1950s. Now rumors reveal that a major organization, possibly NOFARS, will activate the Space Cadet Award soon. Stay tuned for details on where to send your application. The first valid one wins this challenging and unique award. Reports indicate that FCC is disturbed about phony and inaccurate temperature readings given on the air such as when checking into nets. "40 and 80 meter nets are the most outrageous," fumed one FCC staffer. "Wisea** readings like 98.6 degrees, temperatures inside refrigerators, ovens or Celsius readings are not acceptable." New rules will require announced temperatures to be within plus or minus three degrees. All temperatures must be outdoor readings not influenced by sunlight or abnormal drafts. Violators will be subject to $50 fines. Reports are that one prominent high frequency net will start requiring barometer readings from those who check in. FCC is establishing standards and requirements for reporting barometric pressure. Standards for anemometers are scheduled by 2015. Don't sit around listening to static, clawing through contest pileups or checking QRU into nets. An unprecedented breakthrough allows you to go to the beach or guzzle booze at the lounge while your station pulls in contacts for you at home. An innovative product has been announced that is destined to revolutionize amateur radio operation, especially DXing. Two hams, formerly lead researchers at Strayer University’s acclaimed Department of Imitation Intelligence, issued a press release this week describing an integrated hardware/software package that will be shown publicly for the first time at the Dayton Hamvention in May. Their product has been thoroughly beta-tested and optimized over the past year at internationally known DX stations in the U.S., Finland, and Japan. Dubbed AutoStation™ the package literally takes control of your station’s HF transceiver, beam, and logging program. In its most elementary configuration, AutoStation continually scans a band (or several bands), listening for potential contacts. If desired, the beam will be rotated at five degrees per second over a selected azimuth range to ensure optimum coverage of all geographic directions. When the system detects an opportunity for initiating a QSO, receiver scanning and antenna rotation stop, the station log is checked to avoid duplicate contacts, and then the transmitter is activated in the same mode as the received signal to make an automated return call. Several user presets are available, as described later, to select preferences for prioritizing contacts and beam orientation. If contact is established, applicable information is transmitted and the contents of subsequent replies are stored in flash memory for analysis by an imitation intelligence algorithm that then synthesizes an appropriate reply for each return transmissions. At the conclusion of the QSO, log entries are recorded and a QSL card is printed and addressed. Systems will be manufactured in modular form so the most ambitious hams will be able to simultaneously scan several of the nine available HF ham bands. Of course individual antennas are required for each band and consideration has to be given to avoidance of cross-band interference by appropriate filtering and time-sharing of reception and transmission; embedded software automatically takes care of that. Operation of a preprogrammed AutoStation is initiated by pressing a single START button. In a multi-band system, a separate SDR then scans its assigned band, watching for preset criteria. Those criteria might be a prefix not yet worked or more specifically, for call signs needed to achieve worked all continents, countries, states, islands, zones or whatever other award is being sought. Furthermore, each one of those searches can be further weighted according to the station owner’s priorities, such as obtaining a DXCC award or special events certificates. The system will continue to run for a preset time or indefinitely, completely unattended, while the owner sleeps, travels, or works at his job. Effectiveness of AutoStation was demonstrated dramatically during beta testing in Finland by Jukka Mäkäläinen, OH4JM whose rig, running under AutoStation control, acquired a four-band DXCC on 40, 20, 15 and 17 meter CW in only eleven hours using the system’s multiband priority mode. In that mode OH4JM’s single SDR and antennas rapidly switched for a single scan of all nine HF ham bands to determine relative activity. Then the most active bands were scrutinized for unworked call signs to fulfill Jukka’s DXCC criteria. The feat could have been accomplished in even less time had Jukka’s station been equipped with more than one SDR. Similar beta operation in the U.S. and Japan obtained comparable results for WAS (in four hours by WF6FF on 80, 40, and 20 SSB) and WAZ (in five hours by JA7T on 40, 30, and 20 CW). As powerful as AutoStation may be for control functions, the heart of the system’s versatility is its multi-language voice synthesizer/translator which enables automatic worldwide phone contacts in the language of the called station! In a one-time setup routine, the operator clearly enunciates 178 training words in his native language for voice analysis. He then reads three short paragraphs in one of the twelve languages that can be displayed on a monitor to support accurate synthesis of his personal vocalization traits, word spacing and end-of-paragraph intonation. After the user’s unique characteristic parameters have been stored, the program will reproduce the operator’s speech with uncanny realism, totally devoid of the typical artificial “computer voice” associated with synthesizers until now. The system responds equally well for YL operators. The speech synthesizer is essentially non-language specific, i.e., a person of any nationality may speak the training words and paragraphs in one of the supported languages, and after they have been learned by the computer, the operator’s voice may later be automatically translated into any one of the other languages to reply in the language of a calling station. Logs are kept in English by default, although there is an option for six other languages and character sets if desired. Twelve available languages, implemented in software by Rosetta Stone on a subcontract, include English, French, Italian, German, Russian, Spanish, Japanese, Korean, Mandarin, Cantonese, Mandarin and Farsi. Any of those languages can be translated to any other by AutoStation! Latency (delay) in the translation process is less than 20 milliseconds. The synthesizer/translator will be marketed as a standalone product for use in conventional amateur radio applications and in international commerce. Four CW “fists” can be preset in one of five characteristics: Perfect, Average, Extra Dots, Banana Boat Swing, and Great Lakes Swing. Transmitted CW Speed automatically mimics the contacted station or it may be preset for a CQ or other blind transmission to any speed from 5 to 65 wpm. Correct prosigns are automatically inserted and reply messages are automatically composed by a complex algorithm based on information received from the station worked. AutoStation’s CW message synthesis is so realistic that several CW QSOs made during beta testing ran totally automated for five minutes before the operator on the other end realized there was no human operator at our key! Only salient capabilities of AutoStation can be been described in the space available here. Photos of the system are not currently available because the design has not been finalized. By the time the product is released in June several refinements and over sixteen additional features will have been incorporated. Formal announcement will be by a 10-page ad campaign in the June issue of QST. Editor's Note: We didn't hear from Dr. Farad-Ohm again until March 2014 when he sent us this amazing column for publication. Greetings And Hello Again. Special Correspondent Henry Farad-Ohm on the beam for another column. Your positive responses to my inaugural article one year ago have persuaded me to return with a second offering. These are scoops that you won't read anywhere except in the Balanced Modulator. When you hear people whispering in the background, here is what they are mumbling about. AMAZING FLOATING GROUND GENERATOR INVENTED!! Headlining my report this April is a major breakthrough in power generation with introduction of the Electron-Controlled Floating Ground Generator. The inventor, Walter Owens, is a long-time professional colleague and I can vouch for him. He owns 26 patents and this one has enormous potential. The Electron-Controlled Floating Ground Generator is a small mobile power plant which provides any kind of a power source that is necessary. It can power an automobile, airplane, freight train, battleship and up to at least four houses, according to Owens in a You Tube interview. Check https://www.youtube.com/watch?v=qRKykwLLHPc (or search Walter Owens Generator) to see this amazing generator explained by its dynamic designer. His invention snatches electrons out of the air and turns these electrons into DC power. The Electron-Controlled Floating Ground Generator is much smaller and efficient than even the most advanced solar power systems, creating more power than three or four thousand feet of solar panel. “I am the only man that has ever designed a unit that can claim it defied the Newton laws," says Owens. Already, oil company executives and their mouthpieces are planning campaigns to outlaw Electron-Controlled Floating Ground Generators in the United States. Regardless, it is only a matter of time before these units make today's electric systems obsolete. Grounds have been one of the most misunderstood and underused things in electronic technology. Walter Owens' breakthrough is only the first that revolutionizes our universe over the next decade. Floating grounds, coffee grounds and earth grounds are examples of grounds that inspire wonderment. Lay down flat on the ground with your ear touching a cement floor to get better sense about what is happening on our planet while it zooms through space. This is what I do. It works better if I alternate my grounded ear each half hour. My reliable sources insist that FCC will introduce SWR regulations later this year. New studies indicate that standing waves are harmful to people and also threaten the environment. A maximum permissible standing wave ratio for all antennas of 1.6 to 1 will be established. Exceeding this ratio will cost a $500 per day fine. One of my cohorts, NOFARS member Ross Goodall WD4NJV responded to this inquiry recently: "I live a far piece back in the Georgia swamp. It is just me and the gators, swamp rats and water moccasins. I am writin U cause my picture radio quit workin rite some time a go. I used to git for, 12, and PBS. All I git now is black and white snow, but I like the warm glow of the tubes inside and it keeps the cabin warm in the winter. I check the flat wire to the antenna and this time the rats did not chew it. My friend told me it is all digits now. If I recollect I got the Philco from Monkey Wards, or Pick and Save, or McDuff in Jax. Can you help?" Although the North Florida Amateur Radio Society does not endorse a specific brand or store, we believe it is time for a new flat screen television since television broadcasting is all digital now and your analog TV receiver will not properly receive television broadcasts. Color picture quality has improved greatly over the many years you have had your TV. All three of these stores closed a long time ago. You may wish to consider a new antenna and replacing your flat lead antenna wire to coaxial cable. If you want hundreds of channel choices you may want to consider a satellite service, assuming cable TV does not go way back in the swamp. When you get your new TV you would probably enjoy the show Duck Dynasty. By keeping my ear planted squarely on the ground, I have learned that regulators are encouraged about the improved accuracy of temperatures announced by hams when checking into various high frequency nets over the past year. In a monumental scoop in the April 2013 Balanced Modulator, I was the first to report on phony, irreverant and inaccurate temperatures often being offered during check-in on several 20, 40 and 80 meter nets. Incorrect and wisecrack temperature readings present a bad image for ham radio. I know some motorcycle groups effectively promote "Look Twice for Motorcycles." My upcoming project is advocating usage of my slogan when checking into nets: "The True Certified Temperature Here Is _____ Accurate Fahrenheit Degrees." Police are searching for a bandit who walked away with $3,600 in hams Friday night. According to a Sheriff’s Office incident report, a truck driver discovered Saturday morning that someone cut off the lock on his trailer and stole 36 cases of Carolina hams. His truck was parked overnight in the rear lot at Pilot, 2975 Gun Club Road. The driver told police the cases weighed more than 50 pounds each. Listen up moviegoers! Amateur Radio is prominently featured in a blockbuster movie coming out this summer. It revives the legacy of Chickenman, that crime-fighting, white-winged-warrior. Like Superman, Chickenman has a guarded identity. His real name is Benton Harbor and he works as a shoe salesman in a large downtown Midland City department store. On weekends, he strikes terrific terror into the hearts of criminals everywhere as that fantastic fowl, Chickenman. In the movie which is set in the 1960s, Chickenman uses a souped-up Heathkit DX-60 on 20 meters to gather intelligence for use during missions to stamp out crime. Chickenman totes his crimefighting accessories inside a hollowed-out Heathkit two-meter lunchbox. Construction of my new 80-meter vertical antenna made from beer cans soldered together end-to-end is in progress. With help from a local Jacksonville operator with initials RT, the first step has started. Emptying the cans. After conducting a study about radio wave propagation, Dr. Harris Kelso concludes that securing one's tower to earth ground with green-tinted cement provides a 3 decibel increase to both receive and transmit signal levels compared to plain cement rated at zero DB. This is Dr. Kelso's second breakthrough. In 1991, he introduced Slick-O Antenna Wax. Applied to antenna elements, Slick-O allows radio waves to slide into a receiver more effectively. I'm going to get my ears back close to ground now. I don't want to miss anything. This has been Dr. Henry Farad-Ohm. Over and Out until next time. After going AWOL in 2015, Dr. Farad-Ohm mailed in another column. Reliable sources confirm that Eli Crimpenstemmer has entered the U.S. presidential race as an independent. Crimpenstemmer is campaigning as Eli the Ice Man. Joe the Plumber is the top contender for Eli's VP slot. Crimpenstemmer first gained fame for his landmark research about inductive and capacitive reactance in Antarctica with world famous scientist Dr. Stephen X. Barber during International Geophysical Year. His resume includes meritorious service to Vice President Spiro Agnew as a staff researcher. President Jimmy Carter appointed him to the prestigious American Electronic Communications Advisory Committee (AECAC) in 1978. Crimpenstemmer worked as an intelligence analyst at the Bilderberger Society before joining the prestigious Lenz Law firm in 1995. Speaking in Jackson, Mississippi on a Saturday night, Eli the Ice Man lambasted two of his most formidable opponents saying "forget Bernie and Donald, vote Eli." He denied reports that he was detained in 1968 for tearing Wallace stickers off the bumpers of cars. Eli blamed unnamed "nattering nabobs of negativism (for) spreading damnable lies" about him. At the Sheboygan Hamfest Sunday, Eli said fringe candidates like Trump and Sanders are pretenders. He adds "Sanders plans new taxes on each radio contact and every e-mail while Trump plans to merge ham radio, FRS, MURS and CB. His plan is to let all these operators just get on the channels and fight it out to communicate." Crimpenstemmer will demand that all digital voice radio makers use compatible formats. He vows a priority will be banning "Baofengs and other cheap junk." He promises to require homeowner associations to provide club ham stations. To showcase his foreign affairs acumen, Eli plans a DXpedition to Benghazi. After operating a radio contest there as 5U4GB, it's on to Fredonia as a guest of the Queen. Eli the Ice Man advocates a melded subjectivious and scientific approach to solving problems like economic hardship and declining job markets through balanced budgets and 15% annual cost of living raises for everyone. He said he favors the "trickle around" approach to monetary policy. The club for many years has been working with an old timer that lives way back in the Georgia swamp. In working with him in the past we explained why his black and white Philco television that he purchased many years ago at Pic N Save would not work because analog was replaced with digital television transmission. moonshine by broadcasting over amateur radio, and by installing a satellite receiver increased his reception from only three channels to hundreds of television channels. We guessed that his favorite shows would be Duck Dynasty and Green Acres. Dear Radio Club...You all talked about ham radio and brought me the ARRL tech book to learn and pass a test cause I wanted to talk like you all on the wireless radio on two meters. The record thing that came in the book would not fit my record player. I thought a choke was what they do when they have a rastleing match. My X wife said that we didn’t talk on the same wavelength and she always gave me resistance on everything. my Aunt Tenna who lives in Woodbine. Dear old timer: Keep studying and don’t hesitate to ask any questions that you may have in your study of the ARRL Technician study manual. Relax and study a little each day and remember you do not have to have a perfect score but you will want to learn all you can in each area covered the study manual. Remember the exact license exam questions you will see on your exam will come from some of the question pool in the back of the book. There will be no surprise questions that you have not seen in the book. The disc that came in the book will not play on your record player as it will only work on a computer. Just put it aside for later use if and when you get a computer. In April 2017, FCC opened two new low-frequency bands. The Balanced Modulator's Special Correspondent, Dr. Henry Farad-Ohm weighed in with advice to help NOFARS members have the loudest signals on these new frequencies. As I wrote in a previous April Balanced Modulator, my experimental vertical antennas made from empty beer cans had promising potential. Recently, I had a breakthrough and you're reading it here first! Traditional quarter-wave antennas for 630 and 2200 meters are very tall. Divide the constant 234 by the design frequency in MHz to figure the length in feet. For the center of the 630 meter band, a vertical measures almost 500 feet. 2200 meters requires a 1700-foot vertical. Using traps reduces these lengths, but coils of wire and distributed capacitance waste most of your power and narrow your bandwidth. Instead, steer clear of verticals made from traditional conductors like tubing and copper wire. Solder beer cans together instead. Then just stand the vertical straight up. Beer cans exhibit amplified super-resonance (ASR)......some more than others. 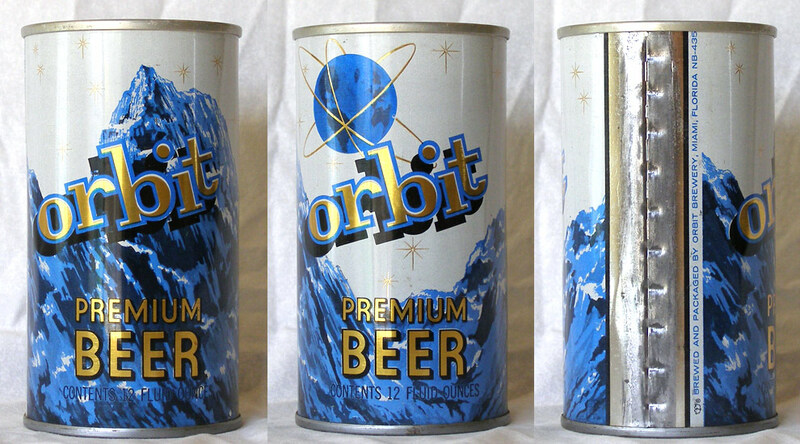 The best beer cans with the highest super-resonance quality index (SRQi) that I found in my experimentation were those from a brand named Orbit, brewed in Miami in the 1960s. I found a cache of old Orbit cans stowed under the home of a prominent west Jacksonville ham. These cans measured at 4289.3 on my custom SRQi meter. This translates into a 15 decibel gain using a 13-foot Orbit beer can vertical on 475.2 kHz. A 24-foot Orbit vertical yields 8 decibels on 136.3 kHz. These SRQi readings apply to 12 oz. cans. For larger sizes multiply by a coefficient of 1.002 per additional ounce. The vertical height varies in inverse proportion to the SRQi of your beer cans. Do not mix brands! Results may be catastrophic. Soda cans have very low SRQi readings, so avoid Coca Cola, Pepsi, etc. To join individual cans together, I used Marty Robbins, my large hip-mounted 150-watt soldering iron, along with Sn-Ag-Cu solder dipped in Bon Ami to make the solder adhere better to the cans. So get started on your own beer can vertical and be ready when the two new bands open in May. The first step is to buy the beer and empty the cans. If you drink a six pack every night, you should be ready to go on both new bands. That's it for this April Balanced Modulator. Gotta move along. I have a key role in an upcoming search for the wreckage of Amelia Earhart's plane. Then it's on to Oregon to hunt for D. B. Cooper and the missing money. This is Dr. Henry Farad-Ohm, your special correspondent over and out. For several years, various members of NOFARS have been working with Herschel and encouraging him to get licensed. It all started out when two members, taking the scenic route back from Valdosta, returned to Jacksonville through the swamps of Georgia. They stopped at a rustic general store for sandwiches, chips and a drink. The store tender, Herschel, has lived in the swamp all of his life and rarely gets into town. He noticed the magnetic mount antenna with a curly section in the middle attached to the vehicle parked outside and asked what it was. One question led to another about our Amateur Radio hobby. But Herschel had misconceptions about “the greatest hobby in the world.” He longed for a big linear so he could talk all over the world and sell his white lightnin' brewed from genuine swamp water. They explained to him why his old Philco black and white analog television receiver, purchased on sale at Pic N Save, would only pick up snow. Subsequently, NOFARS lent Herschel a two-meter transceiver sans microphone, so he could listen to the repeaters. After about two years of study for the Technician license and some mentoring from Dr. Henry Farad-Ohm, Herschel was itching to take the exam. He wanted a perfect score and Dr. Farad-Ohm felt that he was ready. The big day arrived and the Volunteer Examiners were just as excited as Herschel was when they saw him drive up in his 1999 F-250. Laboriously, Herschel pondered each of the 35 questions. He was the last one to turn his test in. The examiners were finished with all the paperwork except for his. I sauntered over to look to see what was happening. All the question answers were marked on the answer sheet but I noticed that he was trying to fill in the FRN area on the application. I explained that he would not have a FRN number yet since he had no previous FCC license. All we needed was his SSN. The test graders looked his answer sheet over carefully as Herschel fidgeted nearby. They mumbled among themselves then announced that Herschel made a perfect score. Ten days later, Herschel's call appeared in the FCC database ....KZ4PHH (Please Help Herschel). A pile up ensued on the repeater. WB4YTJ was Herschel's first contact. Then followed WA4B, WB4LEQ, KM4RAY and KS4CA. Dr. Farad-Ohm's column reappeared in the April 2018 Balanced Modulator. Your Balanced Modulator Special Correspondent is on the beam again. By keeping my right ear planted squarely on the ground, I stay in tune with what people are talking about. After traveling the globe looking for Amelia Earhart's plane and D. B. Cooper's missing money since my last dispatch, I attended the Jacksonville Radio FREE Flea last week as an observer. I went incognito to avoid being a center of attraction. Old record weather with low temperature of 45 and high of 78 pleased the crowd. Spotted many of the W4IZ/R regulars looking and selling. I didn't see any cars or trucks with flashing red lights on top. The parking lot at a hamfest out west last year was full of vehicles with lights on top. Some had big decals on the doors, gumball lamps and sirens too. Now they were real emergency communicators. A lot full of electronic contraptions and components. I found a surplus dialectic troposcope for my "Cruising A Gogo" project that will turn traffic lights green with a press of a button mounted on the dash. Imagine driving through town without stopping. Wave as you pass and others wait. Loads of equipment found new owners. Earlybirds snapped up steals. A word to the wise, show up early. As the promoter says,"the fun starts at sunrise." Several tried to find me after the honcho with a bullhorn announced that Dr. Henry Farad-Ohm was among the crowd. Some thought that I was wearing a straw hat. Efforts to identify me are futile when I am incognito. Don't waste your time when you can be scouting for bargains. I was milling around during the auction and found a critical part for upcoming research in a bin of free parts. If my busy schedule permits, I'll be in Jacksonville on Saturday, October 27th to attend the Jacksonville FREE Hamfest. Gnashing of teeth and great consternation at ARRL HQ. A director is on the outs after spilling the beans at a DX convention. Another director with NRA connections got the boot and ARRL's CEO is gone. He cited income tax changes for his departure. Proposed by-laws have big money donors threatening to withdraw support. Some are reportedly rewriting their wills to exclude ARRL as a beneficiary. My sources indicate that ARRL headquarters in Newington has developed a bad ground. Some of my research into ARRL even suggests floating grounds. My recommendation is for the League to institute a ground improvement program. Ross Goodall, WD4NJV recently forwarded a question addressed to NOFARS from Herschel, KZ4PHH . Over the years, members have been encouraging Herschel, who lives way back in the Georgia swamp, to study and get licensed. Last year he received his Technician license. His suffix phonetics are Please Help Herschel. He writes “I have a question for the club that I need your expert advice on. On Saturday nights I go to the pool hall in Hahira and shoot a few rounds of pool and enjoy some adult beverages and frog legs with my CB buddies. Later I invited them over to see my radio station. They put their hands on my new Yaesu after a QSO and noticed the fan blowing out heat and said I was causing global warming and that I should spray in some foam insulation inside to keep the heat inside. I think Mr. Yaesu probably knows what is best when he invented it. "Your equipment is designed to disperse the heat through vent holes, heat sinks and fans. Spraying in foam insulation will cause your equipment to overheat due to the heat being trapped inside and the fan will not operate. The manufacturer’s warranty will not cover this modification. Do not under any circumstances do this as this will cause permanent damage. It is possible that your CB buddies may be jealous of your Ham license. Please encourage them to study and get licensed. It is wonderful seeing your interest, knowledge and application of knowledge to our hobby growing by leaps and bounds. Keep asking questions.﻿"
In last years April Balanced Modulator, I divulged my breakthrough in Amplified Super Resonance (ASR) after discovering an old case of Orbit beer stored under the home of a west Jacksonville ham. I guzzled the beer, helped by a Jacksonville ham with initials RT, and connected empty cans end-to-end using Marty Robbins, my big kilowatt soldering iron, to form a vertical antenna. I bought an old MaxCom at FREE Flea. I use it to feed my Orbit antenna. Naturally, I connected a perfect earth ground and applied a jar of Slick-O Antenna Wax. My reception is phenomenal. I hear everything! Orbit beer is no longer available at ABC or other liquor outlets, so I have been scouring EBay to find more cans to build more of these super-antennas to use on 80, 40 and 20 meters. I am a firm supporter of first class grounds. Breakthroughs in coffee ground research reinforce my belief about the importance of good earth connections. Stop discarding your coffee grounds! Bury them in the dirt near your tower and improve both radio reception and transmissions. Years ago, I was part of a CIA operation to undermine a radio jamming complex in Georgia. No, not the Georgia containing Atlanta but the one in Asia. Dr. Henry Farad-Ohm surfaced again with a lengthy article exclusive for the April 2019 Balanced Modulator! It appears here unedited in its entirety with typos, emphasis and bad structure included. I returned last month after another year of travelling around the world and eating gourmet food. It has been a winding journey and new ideas are spilling out of my mind.﻿ I put this together for my friends in NOFARS. I always keep at least one of my ears firmly planted on the ground. Phoney news clutters internet. I use only items that are 100% correct. If you read it in my dispatches, consider it totally genuine. A Big medical breakthrough will be announced soon. I have concluded my test experiments about benefits of sleeping while connected to ground. Sleeping on the floor will not be necessary anymore. A patented grounder wire clips to right ear lobe or big toe. For optimum connection, connect dual grounders to both. The other end hooks up to a module which uses ground terminals on power outlets. A wi-fi version comes next. When this marvel is introduced, you can sleep grounded almost anywhere even on a waterbed. From a former co-worker Nathan Jones: "Apologies for being gone so long Dr. Farad-Ohm, but here is breaking radio news from Russia. A completely automated ham station has been installed at the Bornishenko Troll Farm in Siberia. It is on the air now as R0BOT." Ed White High School was closed for spring break on March 14th but four hams still showed up there. I drove by incognito in my old Mercury Comet getting a count for an over/under betting pool. My wisdom towers above Balanced Modulator drivel. NOFARS is fortunate to have my prose instead of more unimportant, irrelevant verbage from the editor. The ex program director of a competing station in Augusta told me that the editor got booted off a radio station there for playing too many stiffs on his music shows. ﻿ He read news on the air worse than Less Nessman. N4UF's monthly literary noise also subsides for Ross Goodall. I read all of his messages. His article on jingles flashed me back to Antarctica when I pumped music over the ice base PA using an old turntable. The weather was so cold that I ran 45 rpm records on 78. When I wanted the long version of a song, I ran it on 33. Ross helped test Herschel several years ago at an examining session. After getting his entry license, Herschel progressed up the ladder and now signs KZ4PHH as Please Help Herschel. He lives so far back in Georgia swampp that even Deep Woods OFF doesn't work to keep those big mosquitos away. Herschel seemed way out there in multiple ways at first, but he is becoming an A1 operator threw my guidance and help from Ross.﻿ Not ready for prime time yet but he's getting there. I need your help. I picked up a tower at an estate sale. I think they told me it was, I think, a Mac-O-Ronnie brand. It came in three sections. One of the sections has a snubnose shaped top. You visited here, so remember to get to my cabin, you had to walk out a 350-foot dock because my home is on poles way out in the swamp. I thought that lowering the tower down from the dock would give me a good electrical ground. I lowered one section into the water and it started sinking down. I put another ten-foot section on thinking that would be enough to work. It disappeared slowly also. The swamp water is black. I am not going in the water to pull it back up because I feed the gators and I they are always hungry and I don’t want them chomping on me or the snapping turtles nipping at me or contact with the water moccasins. Mail delivery here is not dependable so please put your reply in the April Balanced Modulator. I believe you have a Rohn tower. As for safe practices, NOFARS and ARRL consider that safety is of top priority. Always work with someone. As for installing a tower, a good base it essential. Typically in the Georgia swamp, you have a lot of muck causing the tower to sink down in the swamp. Since there are gators, turtles and poisonous snakes, we recommend staying out of the water. Get a large hook to capture the tower and then recruit several persons to help you maneuver the tower into place. And one more thing, Herschel. Multimeters are good for antenna testing and measuring ground resistance. Here is a great YouTube demonstration. Very few hams have mastered the multimeter like this guy. My innovative beer can vertical project encountered a setback. Orbit beer cans are overly prone to rust. The 38 foot vurtical had to be discarded. Colt Malt Liquor cans are better resistant to rust and corrosion. I've started collecting them after drinking the contents. Stay tooned. A vicious rumor circulated that KS4CA was a 1960s CIA spy who transmitted coded numbers on short wave. After checking with a former Swan Island station chief, I declare without reservation that the rumor is false. Bob never read out numbers on short wave. Last year I circulated incognito at Jax free flea looking for burned out lightning arresters to use in a project experiment. I am due in Rawalpindi soon for a feature presentation at a prestigious international scientific conference. Flight schedules are indefinite at this writing. Until take off, I'll be laying out in front of the oceanfront condo where I am staying as the guest of a distiguished university scholar. Beach sand excels in providing good earth grounds. If I am here on March 30th, I'll be at free flea again incognito. I doubt anyone will recognize me. The collection of things for sale and the hams who buy and sell at Jacksonville free flea runs the spectrum. The Jacksonville ham crowd trends younger than further south. Seen threw my eyes I went to one hamfest where I thought I had stumbled into a casting call for extras in a remake of "Night Of The Living Dead." Wrapping it up for this time, be skeptical of those who quote statistics. As Nathan Jones stated in one of his research studies, "87.3 per cent of all statistics are made up on the spot." Remember to stay grounded. Like one radio insider out west said often "keep your feet on the ground and keep reaching for the stars." WHO IS THE RADIO INSIDER? Since his first column appeared in the April 2013 Balanced Modulator, we have received many inquiries wanting to learn more about Dr. Henry Farad-Ohm, the legendary Radio Insider. We're not sure if his name is really Henry Farad-Ohm. It MAY be a pseudonym...we just don't know. We do know that he reads the Balanced Modulator and views nofars.net regularly. Circumstantial observations indicate that he may be related to another mysterious Balanced Modulator columnist, the OH OH. OH could stand for Henry Farad-Ohm transposed....Ohm Henry, with Farad being silent....or maybe not. Are The OH OH and the Radio Insider the same person? We just don't know. Read previous OH OH columns and judge for yourself.